Like most people, I am shocked by the brutal murders of the two Scandinavian women camping in the High Atlas this week. Sadly it is another attack being attributed to young men seeking to show solidarity with violent Islamist causes. One assumes the two women were stalked by the perpetrators from Marrakech, and so the attack might as well have happened anywhere once an opportunity presented itself. Morocco has been largely free of the types of the attacks which have become commonplace in western Europe in recent years, and yet tourists who’ve long been targets elsewhere in North Africa and the Sahara, are thick on the ground in all the usual places because they feel safe. The last reported terrorist attacks were a bomb targeting tourists in Marrakech in April 2011 and a bigger wave of bombings in Casablanca way back in 2003, mostly aimed at Jewish interests. Unlike the rest of the Sahara, to date no tourist has ever been kidnapped in Morocco. 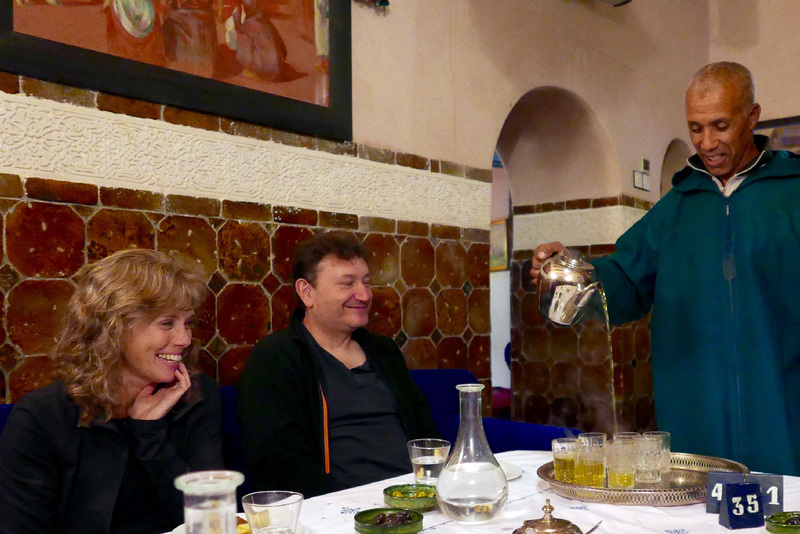 As a tourist, maintaining your safety in Moroccan cities is no different to any other unfamiliar place. Hustlers are common in certain areas; traffic appears chaotic and driving erratic; pickpockets exist, cheap hotels may feel insecure and mountain roads are not velvet-smooth Alpine super highways. All these have long been far greater threats to visitors in Morocco than Islamist violence. Being a Muslim country does give Morocco an edge to those unfamiliar with Islamic culture, particularly women, but the Islam practised here is a lot milder than that found in Saudi or Iran. Read the blue box, left, extracted from by Morocco guidebook published in 2017. Also read the sensible guidelines given on the British FCO website, to give one example. They spell out all how to avoid or be aware of the most common risks. In a crime sense, the popular hiking area below Mt Toubkal (right) where the women were murdered is not dangerous compared to a big Moroccan city. It is probably its popularity and proximity to Marrakech which made it an easy, adventurous destination. Occasional unnerving but actually harmless encounters over the years have long led me to advise the following: when wild camping, do so unseen and completely out of sight if possible, and if not then camp close to or in a settlement. This way either everyone knows you’re there or no one does. I give similar advice in both my global overlanding books and act like this anywhere in the world, just for peace of mind. In Morocco many have found undisturbed wild camping can be quite hard to achieve. Even in the desert, travellers commonly report someone popping up out of nowhere, usually a curious nomad or villager, or sometimes police checking up on you. It should be understood that in North Africa and the Sahara, camping alone in the middle of nowhere away from other people is regarded by locals as suspicious or odd. For us Euro-tourists camping has long been regarded as a money-saving adventure, but because hotels and auberges can be so numerous and inexpensive in southern Morocco (from <€10), I’ve long preferred the comfort and security they offer to all the clobber and faffing required with camping, especially if not travelling in a spacious car, or when travelling in the cool season when mountain nights get chilly and drag on for 12 hours. In a cozy auberge you get to meet local people or fellow travellers, eat well, rest properly and recharge your gadgets. Another practise desert travellers like me have adopted since the deep Sahara became FUBAR’d, is not to share detailed travel plans with strangers or online, especially on publicly readable social media. I don’t do Facebook or Whatsapp, but by all means keep friends and family in a closed group appraised of your movements. In Morocco the reach of the mobile network is far greater than you’d expect, not least in remote rural areas where locals depends on it. A local SIM card costs from €2 which includes €2 of credit. You may need the vendor’s help in setting it up. No one could have anticipated the appalling murders in the High Atlas any more than crossing a bridge in London, backpacking in New Zealand, visiting a market in Strasburg, attending a Baltic island retreat or a school or place of worship in the US. Morocco remains one of the few countries in North Africa where tourism continues to thrive despite anxieties about ‘Muslim countries’. It helps sustain the local economy, particularly in rural areas where the true level of poverty is much greater than it looks. Don’t let this tragic event unsettle your plans to visit a wonderful country, any more than any of the other places listed above. 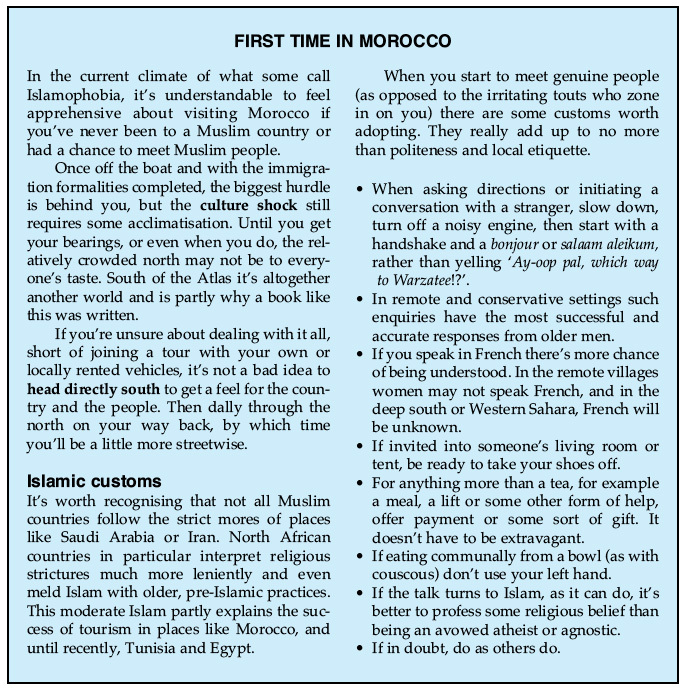 This entry was posted in Morocco Overland, Sahara News and tagged Morocco on December 21, 2018 by Chris S.
In July 2012, a couple of years before fake news had become a thing, online media tripped over itself to syndicate a compelling Saharan survival story evoking the gripping 1965 desert drama, Flight of the Phoenix. And now, five years later, a video has just appeared on youtube (below) where the aged and batty-looking adventurer again recounts his incredible desert caper. 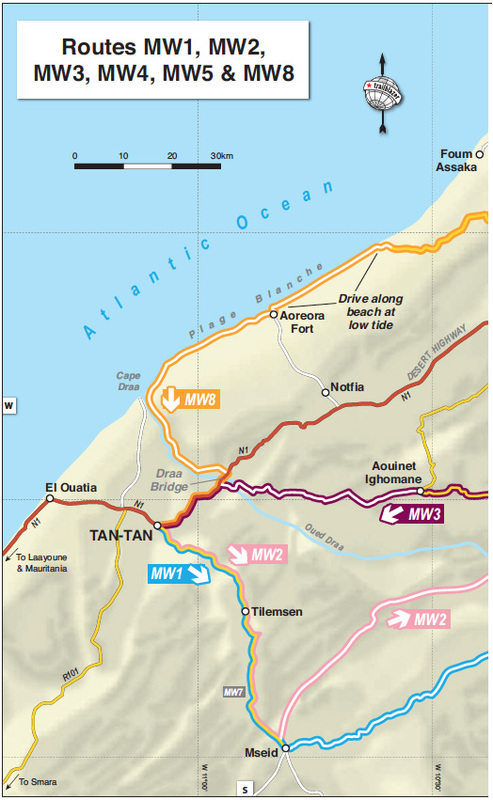 Back in 2012 full details and motivations were skimmed over, but the story goes that in March 1993, 43-year-old Frenchman Emile Leray set off from Tan-Tan to drive his Citroen 2CV east to Zagora – more or less MW2 from the book (right), followed by MS8 from Tata. But with the Polisario ceasefire just 18 months old and frequently being broken, at Tilemsen the Moroccan army stopped him from continuing south towards Mseid, the former Polisario front line. Leray turned back towards Tan-Tan, but not before incurring some animosity from the army by refusing to give a soldier a lift back to town – a common request at remote Saharan checkpoints. Just west of Tilemsen, Leray ‘had an idea’. He decided to circumvent the checkpoint to the north (see MW1 KM22), and rejoin MW2 eastwards. But once on the piste (or off-road, as claimed) one of the 2CV’s suspension arms broke after hitting a hole too hard. With ten days’ provisions on board, but reluctant to easily walk-out and leave his car vulnerable to theft, he decided to strip his crippled Citroen down to a rudimentary motorcycle and ride out as if nothing much happened. The powertrain and suspension of a 2CV makes such a conversion plausible. The way the story was initially reported in English – using images shot in a quarry (left) – Saharan know-alls like myself were initially sceptical. If it really happened why not just walk back half a day to the road? But while researching the yarn more closely for the Morocco book, reading his own account published in a 2CV enthusiasts’ magazine a decade after the events , a faint ring of truth came through. Perhaps he did make the 2CV bike, but not in quite the circumstances he claimed. 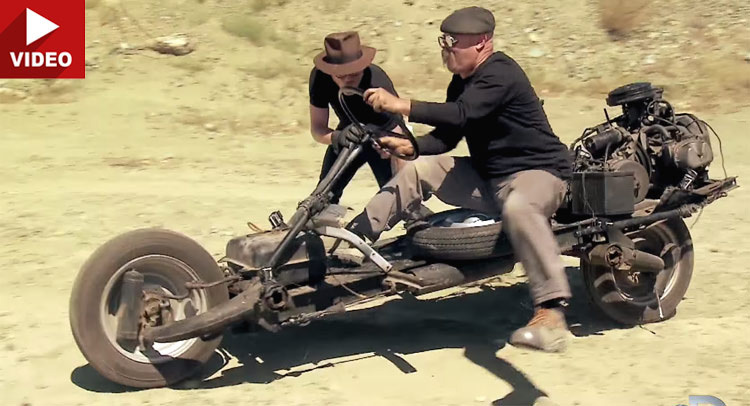 As the TV show, Mythbusters proved for themselves, his contraption was barely rideable (left) and within a day Lalay says he was caught by a desert patrol camping in the desert and instructed to lead them back to the car’s remains to corroborate his story. Ironically, he goes on to claim (with convincing documentary evidence) that he ended up paying a 4500-dh tax for driving a vehicle which did not conform to the one he originally imported to Morocco a few weeks earlier. vehicle, even though he’d taken pains to tack on his ‘Steel Camel’s’ original plate. Below is the translated story as posted on Leray’s website so you can form your own impression. Bear in mind there’s no reason to believe this account told it like it was, but it may have been the original version. 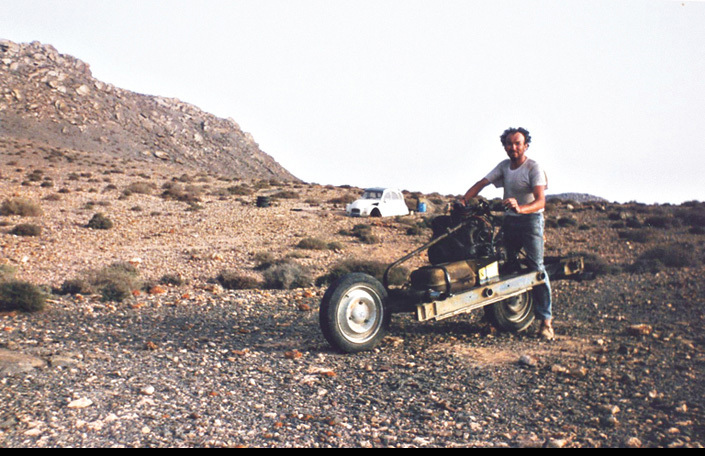 My feeling is the 2CV bike was indeed built in the desert, much as Leray claims, but that he set out with the explicit intention of performing this task. Otherwise he’d have walked out like any normal person in such a situation. His unease about leaving the stricken car seems disingenuous. All experienced Saharan travellers accept that if there’s absolutely no choice, their vehicle is a disposable asset. 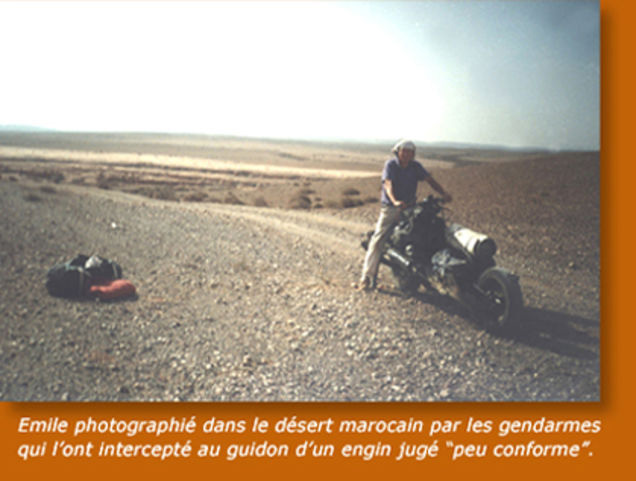 In March 1993 Emile Leray set off to follow a route from Tan-Tan to Zagora. 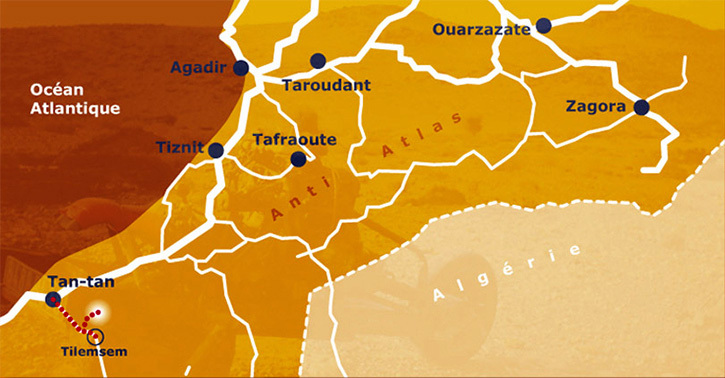 He left Tan-Tan with the required reserves of fuel and provisions as well as tools to keep his old 2CV on the road.As soon as the Royal Gendarmerie arrives, it strongly discourages him from continuing further, because the zone beyond Tilemsem is prohibited, following new developments in the conflict between Morocco and Western Sahara. Emile must obviously turn around and the soldiers are asking him to take a passenger back to Tan-Tan. Analyzing the situation, and seeing his project thwarted, Emile claims an insurance problem that does not allow him to take passengers, arguing that his 2 CV is already very loaded. He knows full well that in Africa it’s seen very badly to not take passengers aboard his car in these circumstances. He claims naivety and misunderstanding in adopting the attitude of a tourist not familiar with local customs. Emile then returns to Tan-Tan under the disgruntled and disapproving look of the soldiers. He starts off at a good pace as he’s afraid he will be followed and he wants to remain out of sight of those whom he has just left. 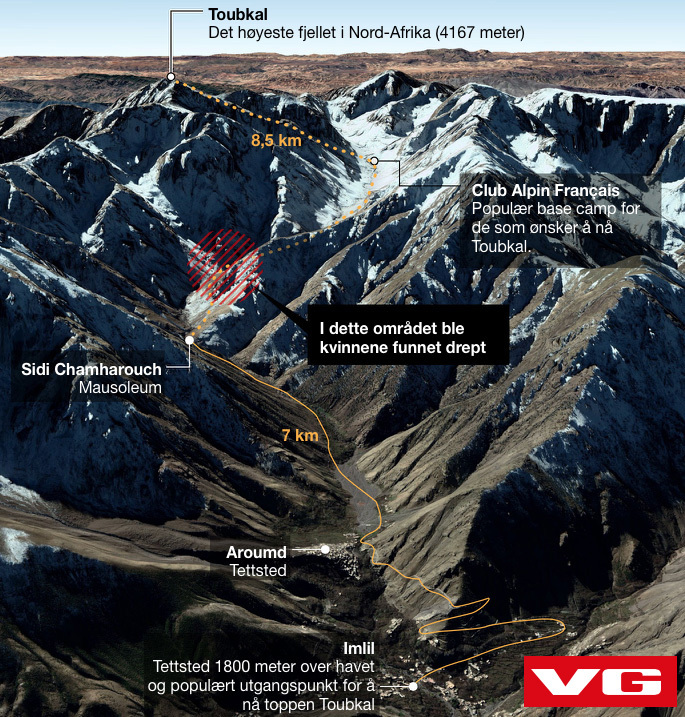 His plan is to bypass the area off-piste and return to his original direction … After a few kilometres he leaves the track to the north and traverses uneven and rocky ground. He has enough food and water so makes a decision which is to say the least, amazing: from his wreck, he will build a two-wheeled machine! One by one he carefully considered all the technical obstacles that this entails, and this master of African bush mechanics has all the tools and the elements to succeed in the task. 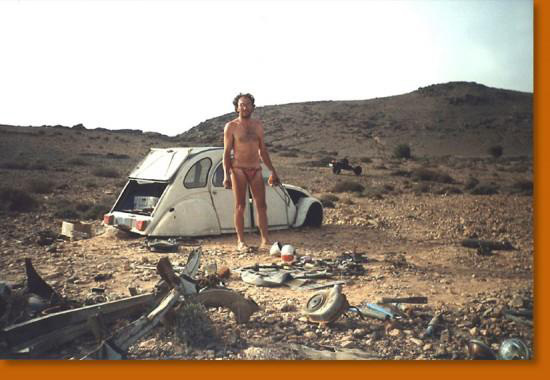 The next morning he began to dismantle the 2CV, first removing the body which he will use as shelter against the cool nights and sandstorms. Having no long-sleeved shirts, against the burning sun he makes sleeves from a pair of socks. 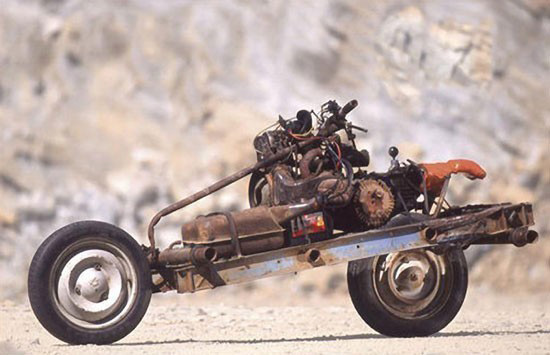 With what remains of the car, Emile Leray will try to build a motorcycle. Overnight he mentally reviewed all the stages and difficulties involved in this rather crazy project … A project that he had probably imagined for a long time but without having had the opportunity to realize it. 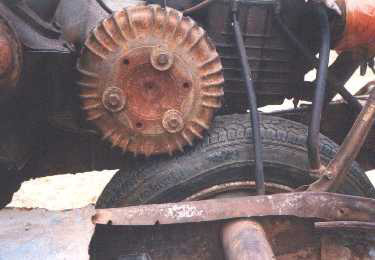 The wheel arms (to be removed with a hacksaw) are nested upside down on a reduced chassis of the front and rear side rails. The engine and the gearbox are then placed on the chassis, in the center. Space should be reserved for the battery and the fuel tank and to keep space for luggage without neglecting the layout of the steering system. It seems unthinkable to assemble this machine in the desert without the help of a drill and welding station. All parts were assembled by screwing. When drilling, it will be done in the African way: the piece of metal is folded to 90 ° to form an edge. At a fixed point this edge is weakened by a hacksaw or round file. At the limit of the drilling, the piece must be replaced flat to perforate the filed point with a hammer or a needle. The assemblies were made as much as possible according to the original holes of the chassis or engine-box unit. There was a great deal of uncertainty to carry out this project and it wasn’t so easy to realize as one might think. The possibility of failure remained present throughout the adventure, giving some anguish to the stranded mechanic. 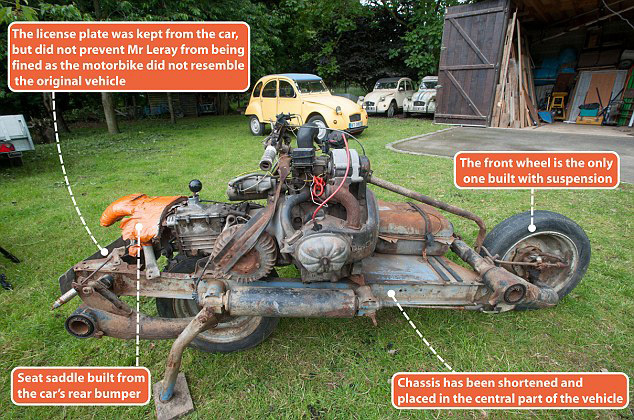 The 2CV motorcycle was obviously not conceived for the sake of comfort, it is a rather secondary notion that was not imperative in what we can call the specifications. The prototype has therefore not benefited from some desirable improvements. It should be noted that, for example, the exhaust is free, so the nose and the ears benefit greatly from the engine’s gases. The bike does not have a brake, nor does it have foot rests which allow some control of the trajectory with the feet, because the craft lacks stability. On the first test the bike fell over, causing a great scare to Emile, who almost found himself crushed under his 200-kilo machine. The arrangement of the clutch and accelerator controls were particularly tedious. It was necessary to dismantle, adjust and reassemble the parts for optimum operation. Similarly, the tests were punctuated by frequent falls. 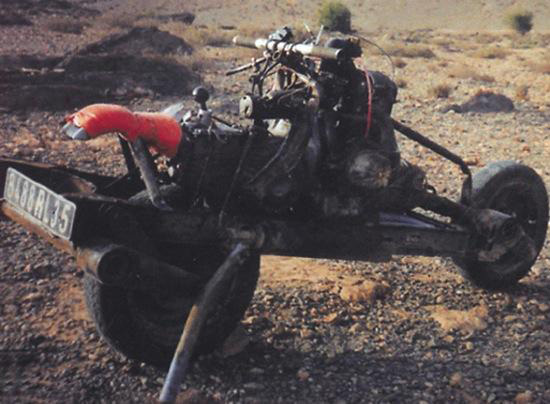 To lift the two-wheeled steel camel proved particularly physically difficult … All these circumstances contributed to prolong Emile stay in the desert. The final day was be spent adjusting and testing and cleaning the bivouac site. It was an occasion to immortalize the moment thanks to a small camera with the trigger connected by a long string. Émile poses in the middle of a place that in March 1993 was the theatre of his unusual feat. He leaves the next afternoon leaving the parts that he will not use in the body shell of the 2CV. He takes with him the rest of his food (more than a litre and a half of water), the bed, the tool box, not forgetting maps and compass. A small foam mattress and a towel sewn together will serve as a tent. After a bumpy ride and a few stops for mechanical improvements, he encamped and slept at the edge of a track. In the night, he is awakened by three soldiers in 4×4, one of which immediately recognizes the “tourist” of Tilemsem. Very irritated to find him in the forbidden zone, he strongly doubts Emile Leray’s explanations; an accident followed by the transformation into a motorcycle. Intrigued by the machine, but totally incredulous, the soldier demands to see the carcass of the 2CV to have proof of this incredible story. In the early morning, Emile was ordered to take his motorcycle back, and ride in front of the 4×4. The convoy sets off slowly towards Tan-Tan but several falls seriously annoy the soldier, pestering against this unstable machine. Eventually the soldier calls by radio for another 4×4 to come to recover the 2CV motorcycle. Arriving at Tan-Tan on April 6th, things get complicated with a lot of bureaucratic hassles. At the provincial governor’s office, a report is drawn up, as well as by the Royal Gendarmerie. The vehicle is impounded. Emile has the disagreeable surprise of learning that he has to pay a tax of 4500 dirhams. He is very unhappy because the customs officers had spoken to him on the eve of mere formalities. The vehicle is regarded as dangerous and no longer corresponds to the description of the registration documents. 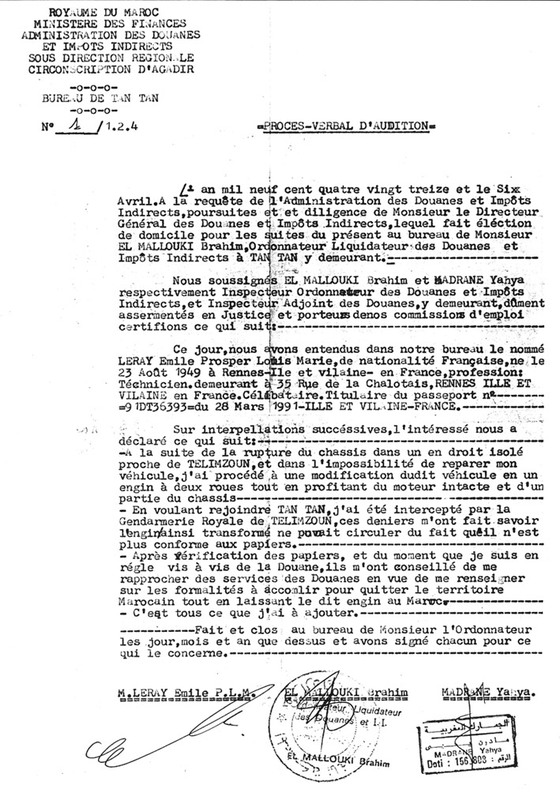 The next day Emile is summoned to sign the forms to exit the territory, and leave for France. He thinks he should come back as soon as possible to get the bike back, but by then he must find a place to park it. There is no question that he leaves her in the pound, it may cost him dearly, and the place is not guarded. A customs officer who is more sympathetic than his colleagues offers to take the steel camel home while waiting for him to return to Morocco. 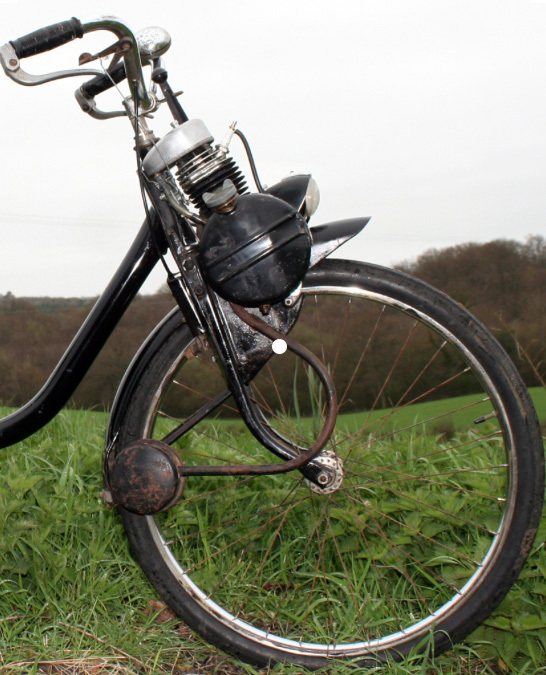 Since then, the steel-motorcycle camel has enjoyed the honors of the press and participated in a few events such as the Aventure and the Inventors of Rennes, the fiftieth anniversary of the 2 CV in Saint-Quentin-en-Yvelines, Without forgetting the Motards have heart. 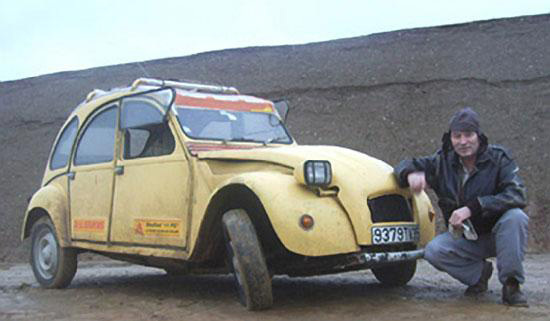 In 2006 Leray went on to build a 2CV boat in Mali. He clearly likes mucking about with 2CVs. 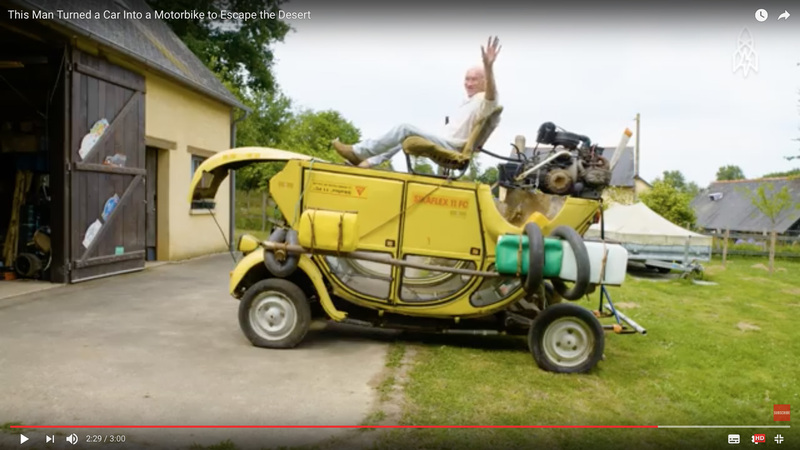 This entry was posted in Cars, Cars, Trucks & 4WD, Desert Babbles (blog), Morocco Overland, Sahara A to Z..., Sahara News, Uncategorized and tagged 2cv motorcycle, emile leray, Morocco, mythbusters, tilemsen on August 5, 2017 by Chris S.